Hundreds of family members and friends attending funeral of soldier Aviv Levi, killed by Hamas sniper on Friday. The funeral of the late Staff Sergeant Aviv Levi is currently taking place at the military section of the Segula cemetery in Petah Tikva. Levi, who fought in the Givati infantry brigade ​​and was 21 at the time of his death, is the first killed by Hamas fire since the end of Operation Protective Edge in 2014. The initial investigation revealed that the sniper rifle used by Hamas was manufactured by Iran, according to Hadashot 2. The Iranian rifle used by Hamas is actually a replica of an Austrian “Steyr” sniper rifle. The report also said that the IDF knew that Hamas possessed the weapon capable of penetrating IDF vests but that, with the exception of special units, appropriate protection was not provided to soldiers beyond the standard vest. This decision was made out of consideration of weight loads carried by soldiers against the likelihood that Hamas would use the weapon. 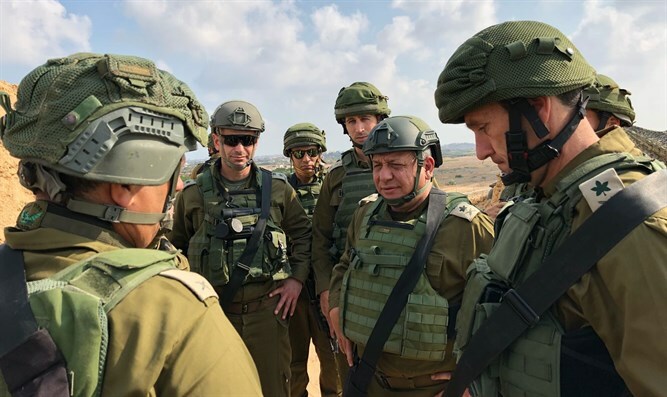 IDF Chief of Staff Lt. Gen. Gadi Eizenkot this morning toured the site of the incident and met with head of Southern Command Major General Herzi Halevi, Commander of the Gaza Division Brigadier General Yehuda Fuchs, and and other high-ranking commanders. During the tour, the chief of staff noted favorably the commanders' activity over the last few months in light of the security challenges and terror activities of the Hamas terrorist organization, the IDF said.